“Pakistan shall be a Federal Republic” this statement is derived from Article 1 of the Constitution of Pakistan 1973 (hereinafter the Constitution). It is important to analyze power structure envisaged in the Constitution relating to Federating Units or Provinces. A true federation must give equal powers to all the Federating Units in Federal Government. According to Constitution the legislature is composed of Senate and National Assembly. Prime Minister and his cabinet, mainly derived from the National Assembly, run the Federal Government. In the National Assembly majority seats are given to the Province of Punjab, therefore, if a political party get seats in Punjab only then that party can make government at the Federal level easily. Recently, a debate, on print and electronic media, is going on with reference to the Chinese investment in Pakistan, particularly, Economic Corridor and projects on power generation in Punjab and elsewhere. 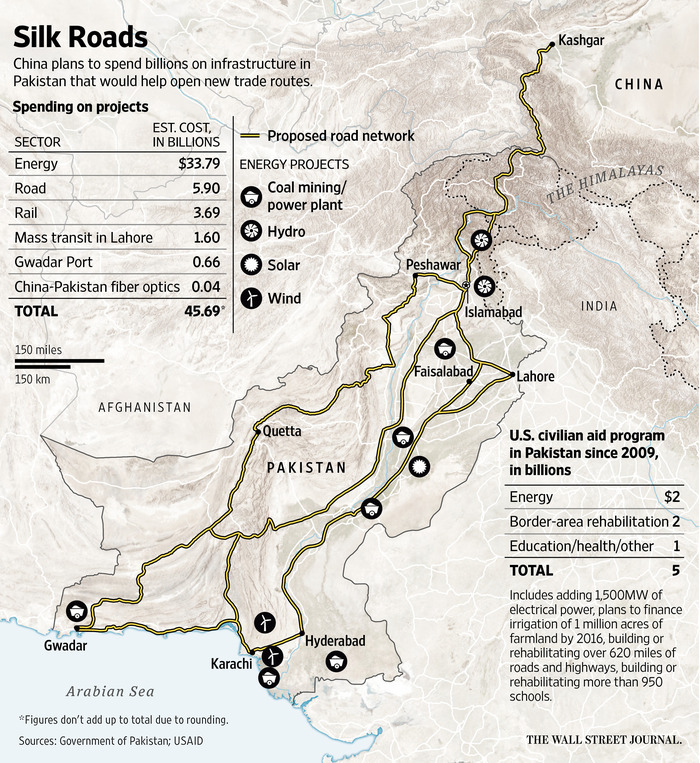 Concerns on change of route effecting Khyber Pakhtunkhwa and Baluchistan and benefiting Punjab are expressed widely. Nationalist parties raised faint voices which are not heard by decision makers of the Federal Government, and it appears as if such parties are contented with such raising of voices only. Main Stream Political Parties such as Pakistan People’s Party (PPP), and Pakistan Tehreek-e- Insaaf (PTI) have also expressed their piece of minds. PPP cannot take strong position on investment in Punjab for obvious reasons that they are looking for vote bank in Punjab and cannot afford to displease Punjabis as Punjab is route to power at the Federal level. Same is the case with PTI. Pakistan Muslim League Nawaz (PMLN) is focusing on Punjab as Punjab is sufficient to keep them in power, and there is likely hood of PMLN becoming as party of Punjab only. 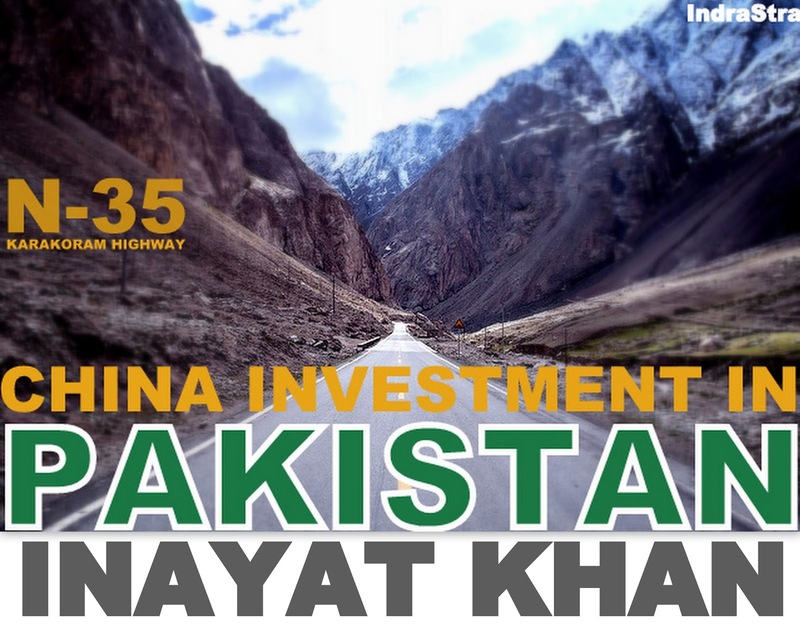 Purpose of this article is to analyze legal and political scenario of the investment of China in Pakistan, particularly, pointing towards the Constitutional lacunas which may give rise to serious political issues. It is viewed as a large investment made by a country in the history of Pakistan. China obviously has its own interest best known to them, and we can speculate that investment by way of Economic Corridor will open gates for China to have access to a number of countries which economically and politically will serve the interest of China. Pakistan will benefit out of the investment provided that decisions relating to Economic Corridor and power related projects are taken to the satisfaction of the Federating Units as major stakeholders. Pakistan is a federation and any investment by way of loan or otherwise should keep for benefit and uplift of all Federating Units. The Federal Government is making statements that the investment will be beneficial for the whole country. The Chief Minister of Punjab is making jubilant statements of China investment and asking Punjabis to be thankful to the Prime Minister who made it possible. On the other side, the Chief Minister of Khyber Pakhtunkhwa and some nationalists parties and civil society groups doubt the Economic Corridor is changed to the disadvantage of Pakhtuns. It is not clear whether the investment is by of loan or by way of aid etc., in case it is a loan then the Federal Government has to return loan out of the Federal Funds to which are contributory, and as contributory it is incumbent upon the Federal Government to make the Federating Units as part of the decision making process. It is important to see the decisions making process of the Federal Government. The Constitution and the Rules of Business of the Federal Government has empowered the Federal Government to take decision through the Federal Cabinet regarding all matters pertaining to the federation, so there is no problem as far as law is concerned, however, on political count there are problems such as the imbalanced power structure devised in the Constitution enabling some Federating Units more graced than others will create disparity and frustration. As mentioned above, the National Assembly is mainly composed of members from the Punjab, and they are also in the government, therefore, they will agree and will be happy with decision of the Federal Government regarding huge investment of China in Punjab, members of other political parties as mentioned above will not take serious position for reason of looking at Punjab as hub of future power at Federal level. The Senate which represent the Federating Units on the bases of equality, but, Senate in comparison with the National Assembly is week and, therefore, Senate have little role in decision making which pertains to the Federation. It is interesting as far Constitution of 1973 is concerned that at the outset it is declaring Pakistan as Federation but on the other side the sharing of power is tilted in favor of Punjab province and rest of the Federating Units are marginalized. The problems lies with the Constitution, the concept of federation is not properly addressed in terms of power sharing at the federal level and the tilt in favor of Punjab is making it difficult for the marginalized Federating Units to have say in affairs of the Federal Government. The Constitution has provided a forum to address issues between provinces or a province and Federal Government called the Council of Common Interest. The Council is composed of Prime Ministers and three of his nominees from the Federal Government and Chief Ministers of the provinces. The Council will decide matters by majority. In the present situation the Khyber Pakhtunkhwa province will have little support regarding their concerns in the Council as the Council will be deciding by majority and majority lies with Federal Government. Provincial autonomy is viewed as dissipating and balancing the disparities amongst the Federating Units and their relation with the Federal Government, but provincial autonomy as visualized and replicated in the Eighteenth Amendment has yet to take its practical shape and provinces as Federating Units are, largely, economically dependent on the Federal Government. Provinces have little control over their resources and their main resources are subject of legislation and administratively regulated by the Federal Government. Provincial autonomy san resources are no more than a mockery. There is need of reforming the constitution to make it a true federation which will be possible by empowering the Senate. There are to be permanent committees of the Senate on all major subjects pertaining to Federal Government including a committee on foreign investment and approval of schemes. The Committee must give representation to all the Federating Units and the decisions of the committee may be implemented through the Cabinet, and working relations may be sorted out between the committees and the Federal Cabinet. Otherwise, the present Constitution will be pushing the political parties more and more towards Punjab and there is likelihood of Punjabi nationalism with dominance over others Federating Units giving rise to serious political problems in future. We need to find answers through the Constitution as who and how decision of the route of the Economic Corridor been taken and whether the Federating Units part of the decision making process. If they are not part of the decision making process then what is the way out to address their concerns. The Federal Government has announced an all parties conference but in, my opinion, we need a permanent decision making body with matters of foreign investment where the Federating Units are given proper and effective representation through Constitutional means.